Survival Kits and Supplies for Everyone. You never know when you may find yourself or your family in an emergency situation. 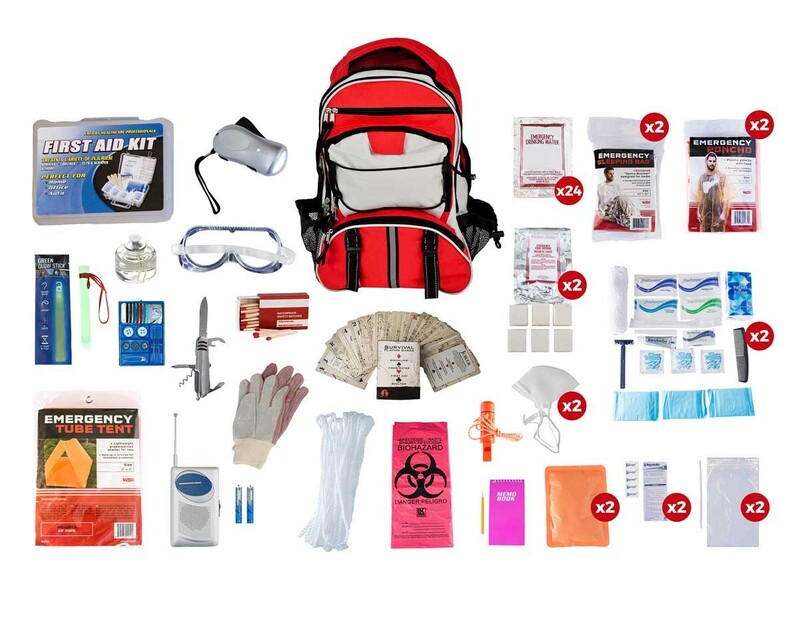 We can help you to be prepared with quality survival kits and supplies. According to NOAA’s National Centers for Environmental Information there have been an average of 1,253 tornadoes in the United States each year from 1991-2010. According to NOAA’s Hurricane Research Division there have been an average of 15 hurricanes in the United States each year from 1900-2015. We carry a full line of quality survival kits (also called Go Bags) that can help you to be prepared for a variety of emergency situations. They are available in many configurations to suit your needs. 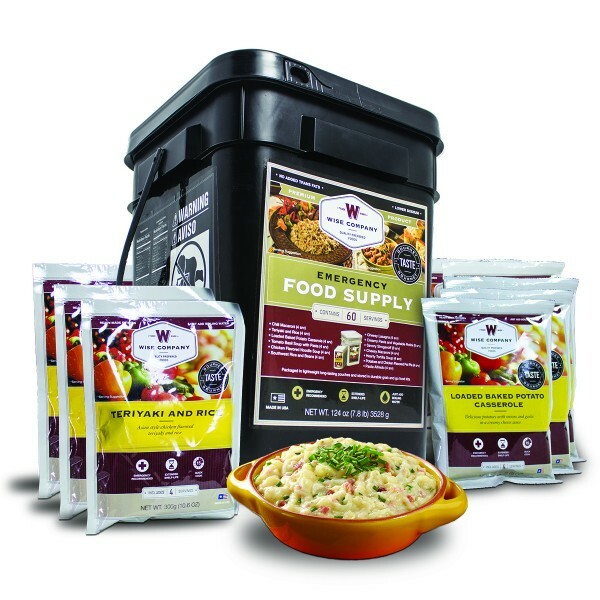 From Cook in the Pouch meals to Food Storage Buckets to Meat Buckets and more. All have a long shelf life and are made with quality ingredients. We have what you need whether it is food for just 2-3 days or as long as a month. 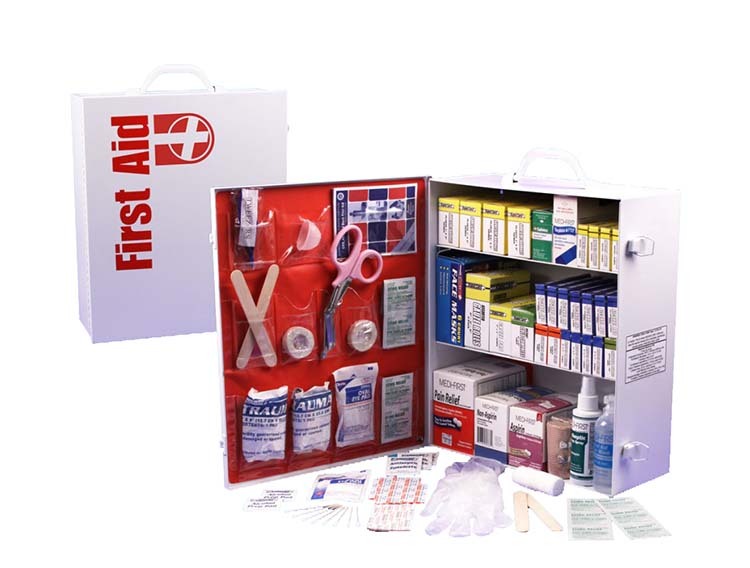 From First Aid items such as first aid tape to full multi-shelf First Aid Kits we have what you need to treat injuries and health problems during an emergency situation.